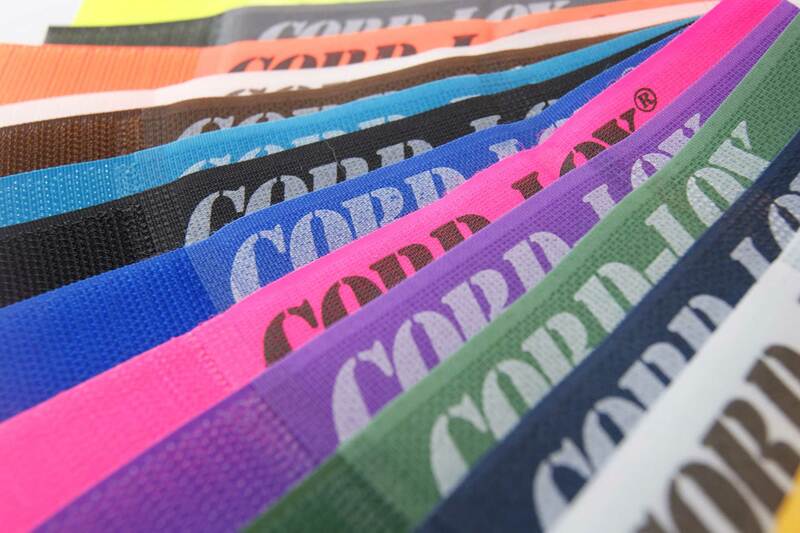 You can have your company name or logo imprinted directly on a CORD-LOX® or other hook and loop strap. 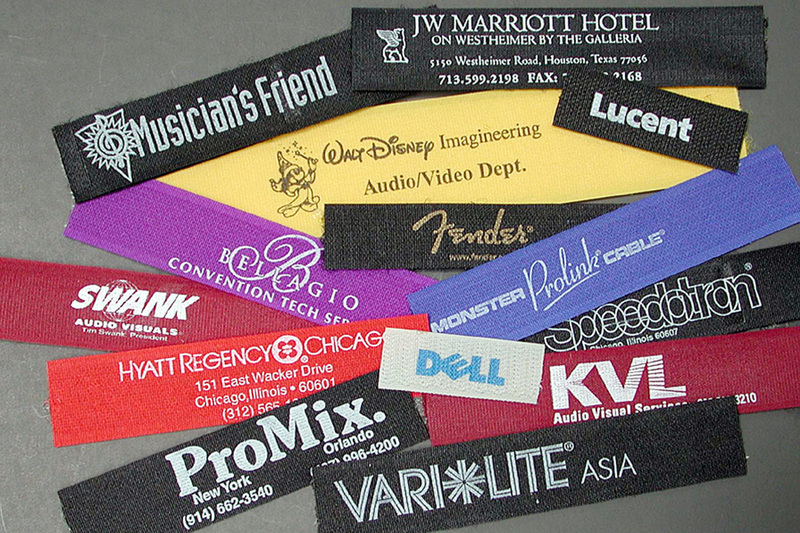 Our printing method is able to reproduce almost any design and transfer it to the hook and loop material. 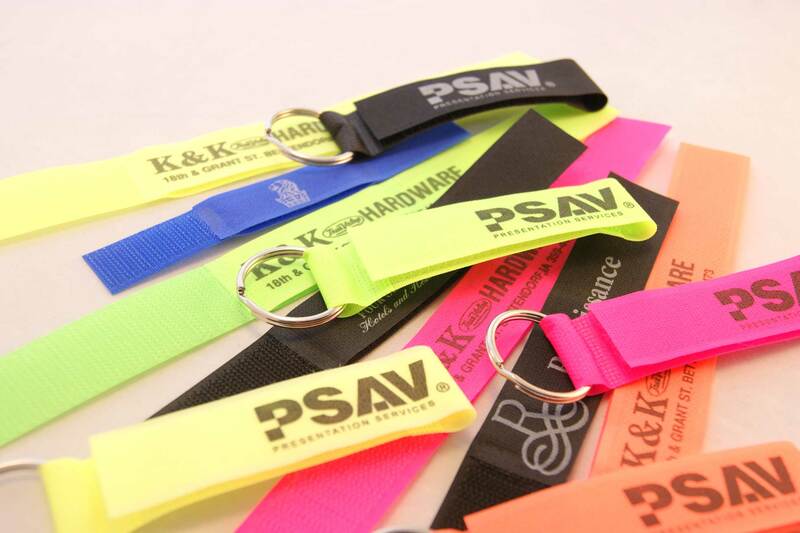 The strap then becomes a promotional item, and advertises your company every time it is used. It's like having your business card on their cord! You can supply us with artwork* (300 dpi minimum) or we can typeset it at our factory on our Macintosh system. 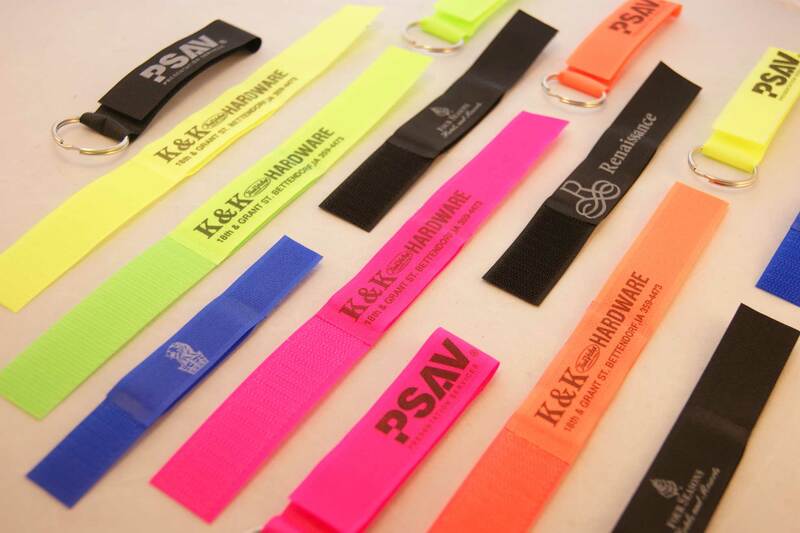 We have hundreds of fonts available, and can help you design an image that will best suit the strap that's being printed. There are certain size, color and quantity restrictions. Please call with any specific questions and we'll be happy to assist you. 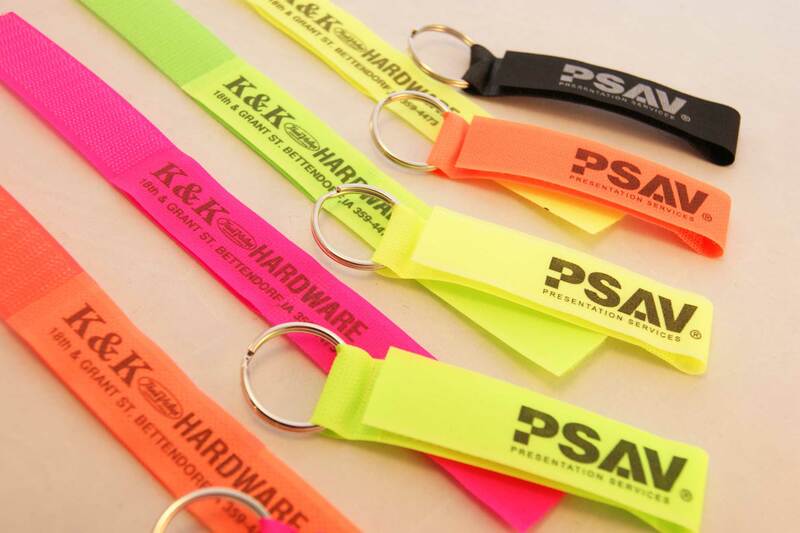 *There is a minimum order of 250 pieces for custom printing, but you can mix and match different models and sizes to get to the minimum quantity. 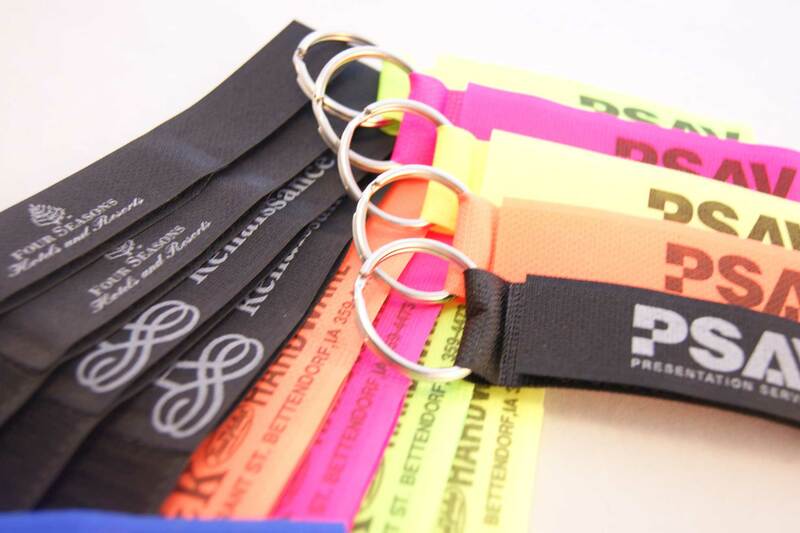 Our maximum printing area is approximately1.25" high by 3.75" wide, but we need to keep the image at least 0.062" away from the top and bottom borders of the straps. You can send us black and white artwork by mail (a 300 dpi laser print is fine) or via email, as an attached .eps or .tiff file; a .jpg is OK as long as it is hi-res (at least 300 dpi). Please, no faxes! If you send us a business card or stationery we can scan it, manipulate it to the correct size, then add whatever additional information you want. Or we can simply typeset your name address, etc. We have thousands of fonts, and we will be happy help you come up with something creative. There are limits to what we can print (i.e. 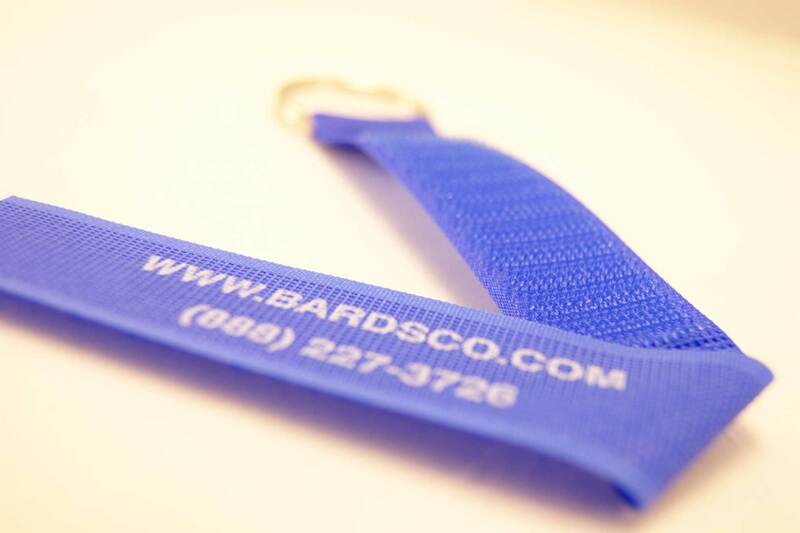 one color, no drop shadows, gradients or photographs), so call us if you're interested in this service.